Magical realism doesn’t get much service when it comes to comics, a medium that’s all too often used to tell only the most literal of stories. Sure, there are numerous exceptions; Charles Burns’ Black Hole, and Daniel Clowes’ Like a Velvet Glove Cast in Iron spring to mind. 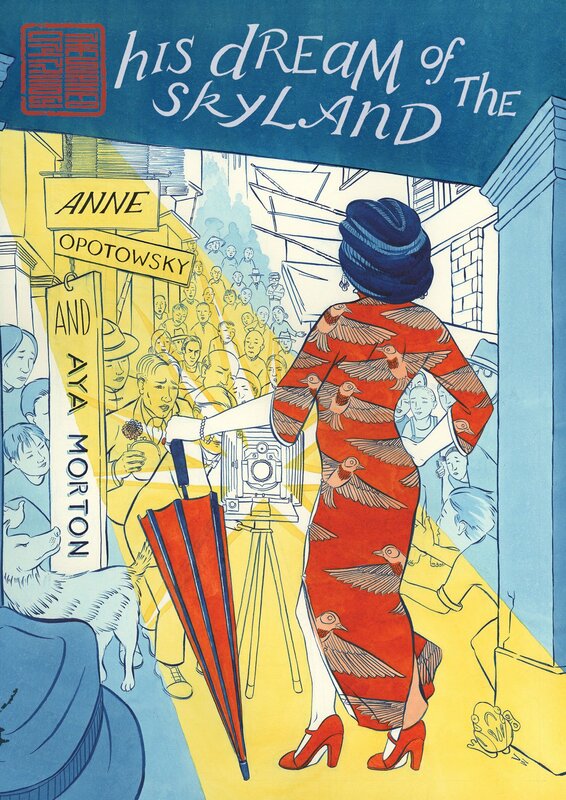 But the one thing I kept thinking as I read His Dream of the Skyland was how refreshingly ethereal and existential Anne Opotowsky and Aya Morton’s approach to comic book storytelling is. This first volume in Opotowsky’s epic 20s-set Hong Kong trilogy The Walled City, His Dream of the Skyland follows amateur acrobat Lu Song. Song’s devotion to his new position at the dead letter office takes him to the Walled City of Kowloon, the ungoverned Chinese settlement that is inhabited by “untouchables” and threatened by the Triads. Kowloon Walled City was demolished in 1994, and if you aren’t familiar with the city, or even remotely interested in it, I urge you to look it up on Google images. It’s the stuff of grandest fantasy, and equally depressing when you take into account the number of lives that subsisted in squalor there. As Song and his two friends are drawn into petty crime and the plight of the sectioned underclass, Opotowsky’s tale pans out to reveal a multi-tiered tale of fleeting innocence, child theft, criminal acquisition, opium addiction and the earliest days of Kowloon’s illegal ghetto. It’s no small coincidence that the three central characters are interested in illusions, with Song’s poverty-stricken reality subsiding into dreamlike sequences and surreal moments that may or may not have longstanding significance in Opotowsky’s sprawling and ambitious plot. 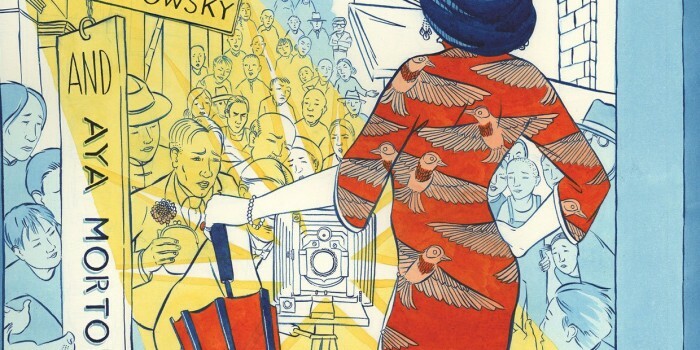 Kowloon is often presented as a labyrinthine tower, and while the book never quite veers into the fantastical, it often feels as if it could on the very next page. Coming in at over 300 of those pages, this is a massive tome and the larger format allows for some stunning moments of quiet beauty amongst what is a far grimmer story than its bright and opulent imagery suggests. I’ve no idea if Opotowsky’s depiction of the period is in any way accurate, but that’s perhaps what I enjoyed most about His Dream of the Skyland; the fact that its historical authenticity is less important than the inner turmoil of the enthralling characters within its pages. I’ll be reviewing Opotowsky’s even larger second volume in the Walled City trilogy in a few weeks.